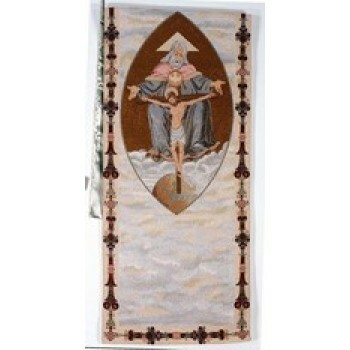 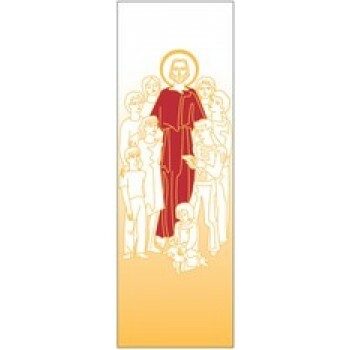 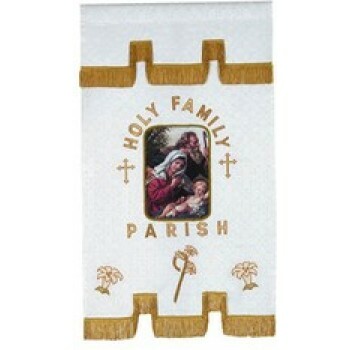 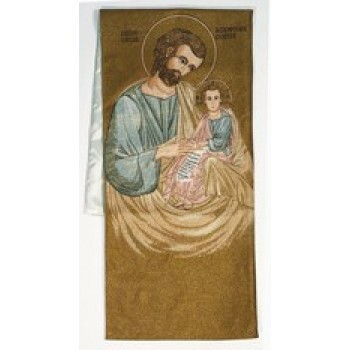 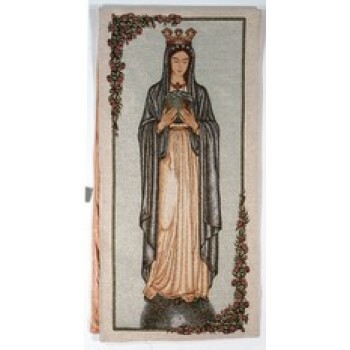 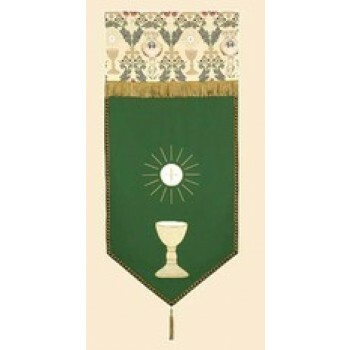 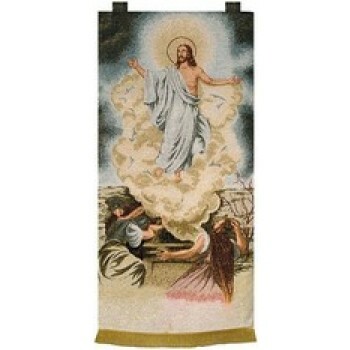 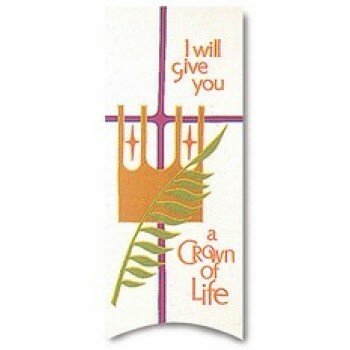 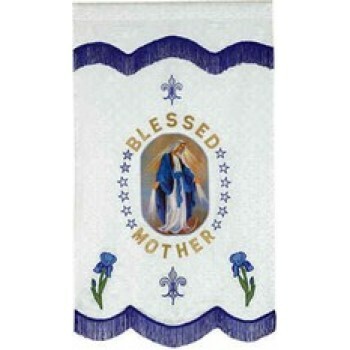 Matthew F. Sheehan offers a variety of beautiful religious banners to choose from, with numerous themes ranging from the Blessed Mother to the Tapestry of Life. 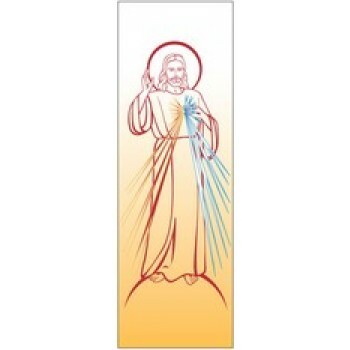 Choose the style that best represents your beliefs and decorate your home, church or school with a beautiful and meaningful piece of art. 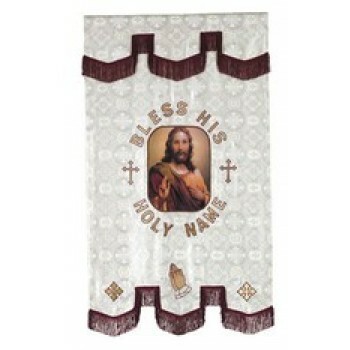 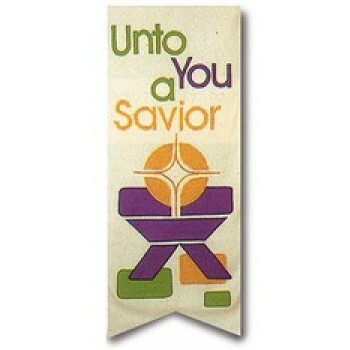 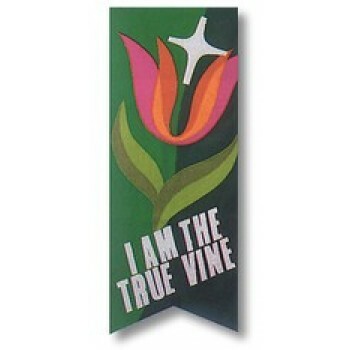 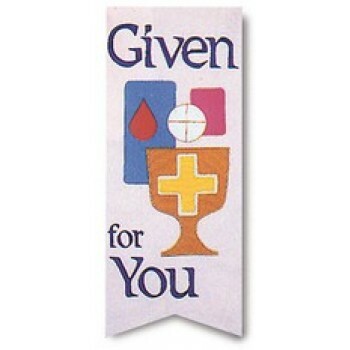 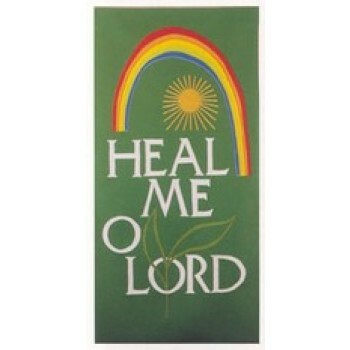 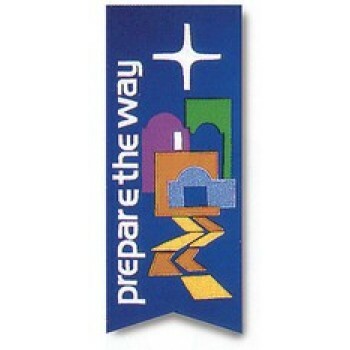 Religious banners are an easy way to add color and style to any space. 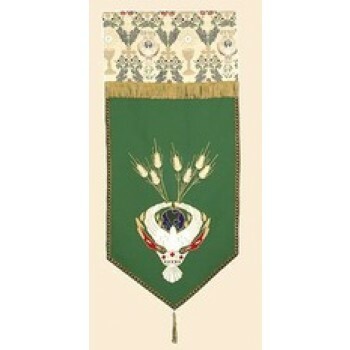 They are usually suspended from the wall by a rod at the top of the piece. 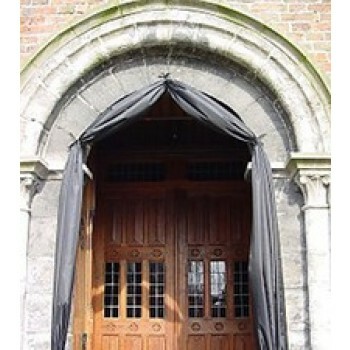 Some styles use a string or rope as an alternative. 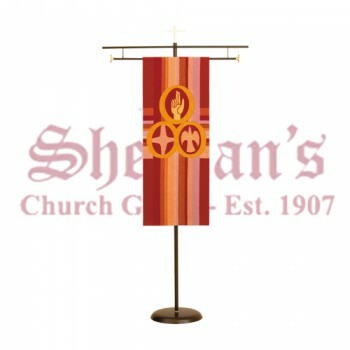 Banners can also be suspended from a banner stand instead of being hung on the wall. 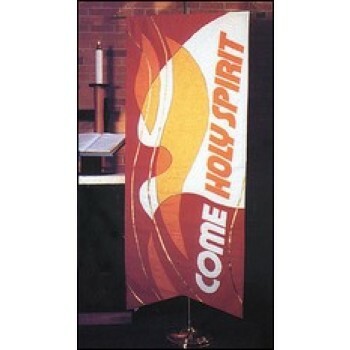 The shape and style of banners make them a flexible decorating option for any space. 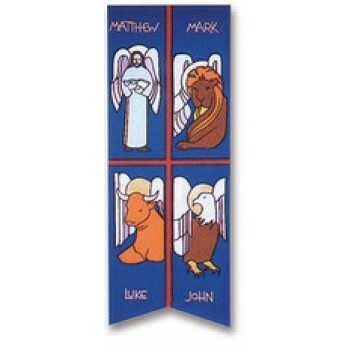 Select styles are available with memorial labels. 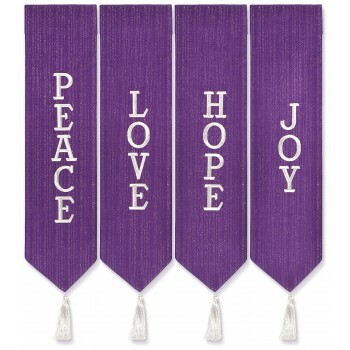 The labels hold 2 lines of up to 20 characters each, so you can customize your piece with a name or special date. 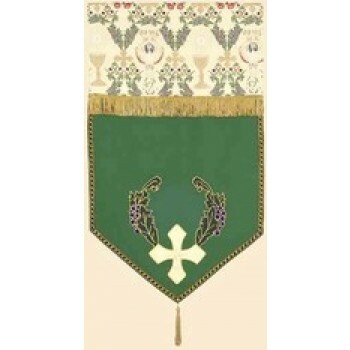 The label may be added for a small additional charge and is a great addition to a piece intended as a gift or for a special occasion.